LOS BANG BANG is a Rock´n´Roll-Band from Mannheim and Munich with spanish, and south American roots. 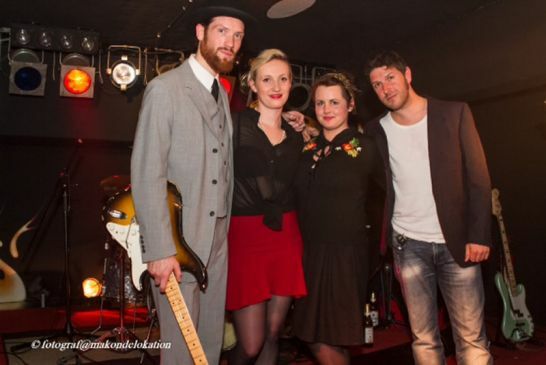 Headed by the frantic and expressive female vocalist Gigiletta Flipante, LOS BANG BANG take on the vibes and the spirit of the 50´s and 60´s and create their own sound – the BANG sound! Together with guitarist Pepe Amigo from Chile, spanish-rooted Andrés Bertomeu on the drums and bassplayer Esteban Falcone from Heidelberg, the energetic munich front-woman /lead singer inspires every crowd to twist! 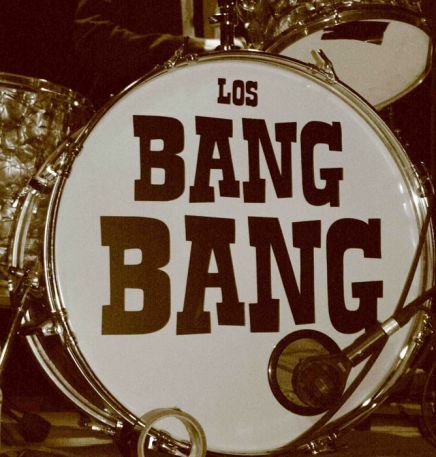 LOS BANG BANG – that is Twang Guitars, Strong Bull Bass and Smashing Stomp Beats – the original BANG sound between Rockabilly, Surf, R´n´B and Twist with lyrics in english and spanish!